Our Cosmetology program is a comprehensive course that includes professional training several aspects of the beauty industry. It is designed to give our graduates a competitive edge, as we teach the business-side of the industry including retailing, sales techniques and budgeting. The program includes an iPad, where much of the curriculum is taught in conjunction with a social learning experience. Our salon floor gives students the experience needed to develop their craft and work with clients. Our curriculum includes technical training along with state board prep. 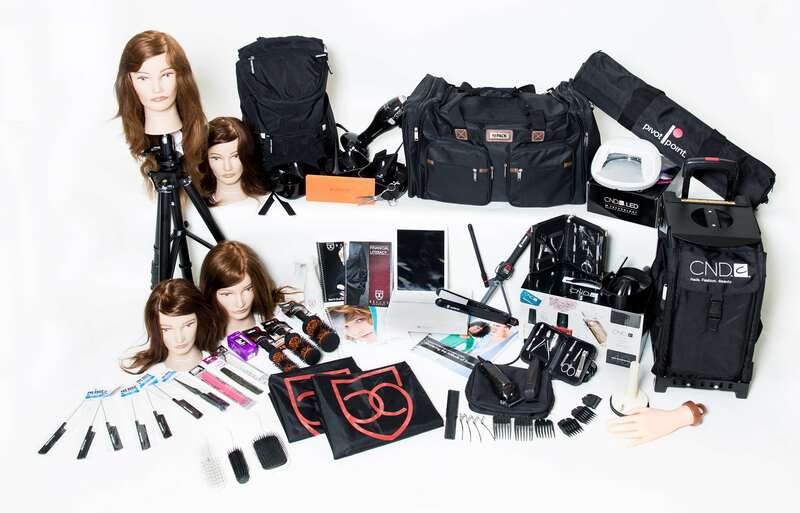 Our Cosmetology 102 course is our most popular cosmetology program. It includes our basic Cosmetology course along with 150 hours of Make-up Artistry. We are one of the only schools to offer the internationally acclaimed Make-up Designory (MUD) Make-Up Artistry course. This program includes our basic Cosmetology course with our 150-hour Bellus Education Creative course. Learn advanced cut and color techniques that employers are looking for in well-seasoned stylists. You’ll learn advanced technical skills from award-winning educators that focus on inspiration-based design. The course finishes with a professional photo shoot to add to your portfolio. Our Cosmetology 104 course is a combination of basic Cosmetology, Make-up Artistry and our Bellus Education Creative Course. Take your career to the next level and allow Bellus Academy to groom you for a premier career in beauty and fashion. Whether you want to work on movie sets, top salons or open your own business—this is the only advanced cosmetology program that teaches you advanced techniques in makeup, cuts and color. The course finishes with a professional photo shoot to add to your portfolio.